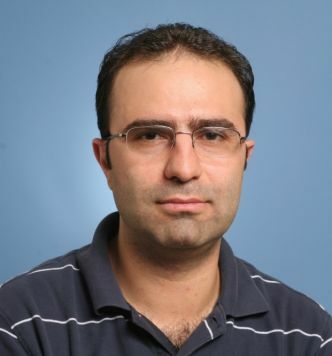 Dr. Hamed Mohsenian-Rad is an Associate Professor of Electrical and Computer Engineering at UC Riverside. He is the founding Director of the UC-National Lab Center for Power Distribution Cyber Security, a new cyber-security research initiative across four UC campuses and two DoE National Labs. He also serves as the Associate Director of the Winston Chung Global Energy Center, an endowed research center at UC Riverside. His research interests include monitoring, control, and physics-aware cyber-security of critical infrastructure, smart grids, and smart cities with focus on developing hybrid data-driven and model-based techniques. He has received the National Science Foundation (NSF) CAREER Award, a Best Paper Award from the IEEE Power and Energy Society (PES) General Meeting, and a Best Paper Award from the IEEE International Conference on Smart Grid Communications. Two of his papers are currently ranked as the two most cited journal articles in the field of smart grids. Dr. Mohsenian-Rad received his Ph.D. in Electrical and Computer Engineering from the University of British Columbia, Vancouver, Canada in 2008. He currently serves as an Editor of the IEEE Transactions on Smart Grid, an Editor of the IEEE Power Engineering Letters, a Vice-Chair of the IEEE Smart Grid Communications Emerging Technical Subcommittee, and a co-Chair of the IEEE Power and Energy Society Working Group on Big Data Access and Research Integration. Dr. Mohsenian-Rad received the UC Riverside Bourns College of Engineering Distinguished Teaching Award in 2017.